Aram Shelton has spent years moving and developing his musical language. From his home state of Florida to Washington D.C., Chicago and now currently residing in San Francisco, Shelton is becoming one of the most revered saxophonist's in underground circles. All the while, he has maintained a creativity that is both skillfully harmonic and resolutely improvised. Aram Shelton encompasses both the free jazz aesthetics of Ornette Coleman and the tonal language of Jackie McLean. Shelton was an integral part of the Chicago scene with the groups Fast Citizens (w/Keefe Jackson), Dragon 1976, and his most consistent and flourishing, Arrive. Arrive is now on their third record, There Was... (Clean Feed Records) the quartet puts together some fantastic arrangements with dizzying improvised moments in between. There Was... could be considered the second official album. 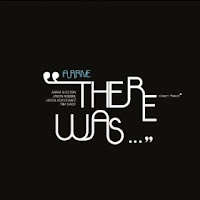 The previous album Live At Elastic includes all but the title track "There Was". The Elastic album is a bit rawer and possibly more "works in progress" until fully realized for There Was.. On the opener and title track, Shelton and Daisy interchange some aggressive and fun-filled passages. This is met with the same energy when the trio of Daisy, Roebke and Adasiewicz gather and tear through chord changes. It's a well structured melodic piece with improvised moments that settle nicely inside your ear. "Lost" really experiments with time, rhythm and harmonics. The group gently improvises its way through the first half with a steady and balanced groove laid just underneath by Roebke and Shelton. Adasiewicz later takes the group into "third stream" territory. It's a frenetic dreamlike moment between the trio again before Shelton completely lets loose. It's the type of aggression that makes his collaborative efforts with Keefe Jackson shine. "Golden" quickly becomes an expression of free acoustic magnification (I kinda made that one up. Needed something that sounded good.). But "Golden" does typify everything Aram Shelton is about--exploring new structures, deconstruction and re-framing/reshaping the sense of things. It's has ballad-like quality that slowly builds into a triumphant exclamation of purpose. 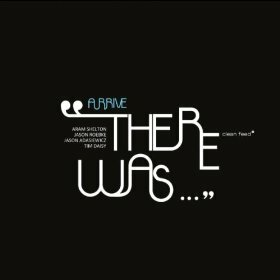 With There Was... Aram Shelton again makes the case that Chicago artists (whether in Chicago or just leaving) are on the boundaries of jazz and testing it, to see what come next. Highly Recommended stuff. Four of the best musicians around; one of the best jazz groups around.